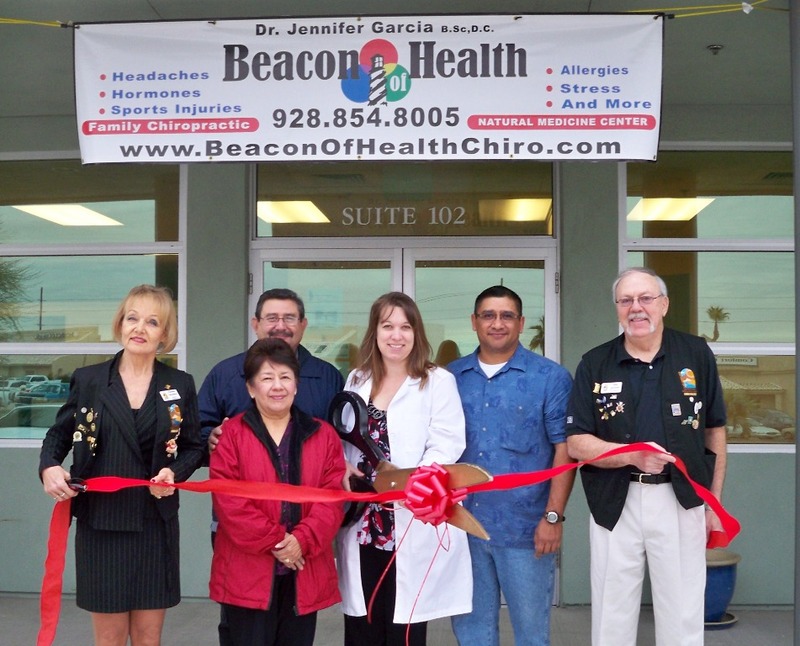 The Lake Havasu Area Chamber Ambassadors held a ribbon cutting ceremony for Beacon of Health Family Chiropractic & Natural Medicine Center celebrating its new membership with the Chamber. Attending the ribbon cutting from left to right were Pam Swanson, Eddie Garcia, Henri Garcia, Dr. Jennifer Garcia, JR Garcia, and Gene Apedaile. Dr. Garcia has extensive training, techniques and methods that allow her the opportunity to help people with a wide variety of conditions. 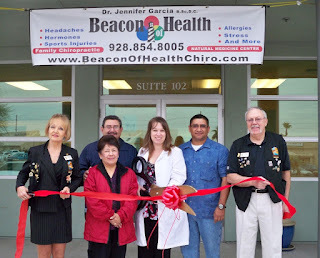 Beacon of Health Family Chiropractic officially opened its doors on October 15, 2012 and is located at 430 Lake Havasu Ave S. # 102. For more information or to schedule and appointment contact them at 928-928-854-8005.